Harwich International Port is one of the UK's leading multi-purpose freight and passenger ports with excellent road and rail links to the Midlands, London and the South East. It is ideally located for North Sea freight and passenger traffic to and from Scandinavia and the Benelux countries, offering first class ro-ro, ferry, container and bulk operations. It is a member of the Hutchison Port Holdings (HPH) Group, the world's leading port investor, developer and operator with interests in 15 countries throughout Asia, Middle East, Africa, Europe and the Americas. Today, HPH operates a total of 30 ports together with a number of transportation related service companies. This latest change of ownership follows an exciting period for the East Coast facility which in 1997 was bought from Stena Line AB by Harwich International Holdings Ltd. a company created by HSBC Private Equity. The port, originally named Parkeston Quay after Great Eastern's chairman Charles Parks, was privatised in 1984 along with the UK's other Sealink Ports. 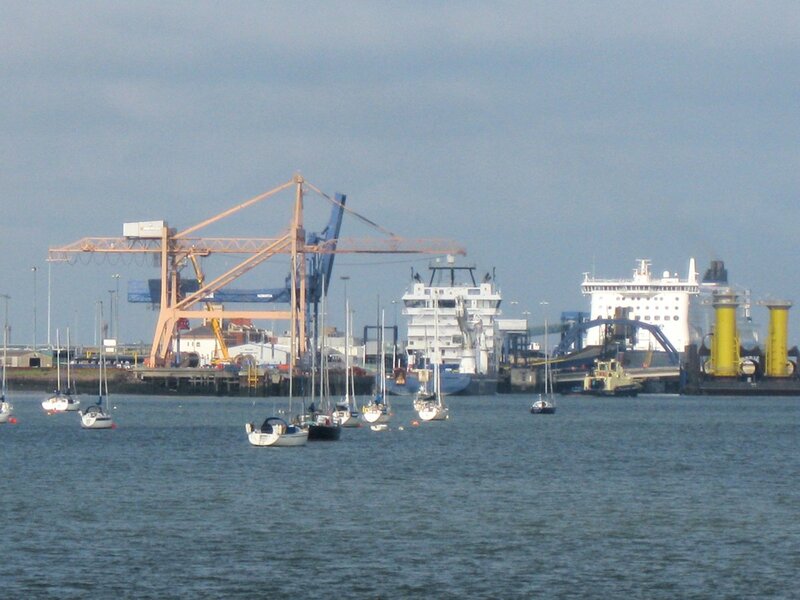 Strategically located in the southeast quadrant of the UK, Harwich International Port is on the southern side of the River Stour. Over the years, the port has built itself an excellent reputation for handling passenger and freight ferry services, in particular to the Netherlands, Belgium, Germany, Denmark and Sweden. Harwich International Port also handles containers, general and project cargo, grain and dry bulks, trade cars and hydrocarbons. Increasing numbers of cruise vessels are calling at the port, reflecting remarkable success by Harwich in attracting turnaround calls since entering this sector in 1993. The decision by Stena Line to introduce the HSS 1500 fast ferry on to the Harwich-Hook of Holland route in 1997 prompted a £12 million redevelopment project at the port, which included provision of a dedicated berth and linkspan for the Stena Discovery and major shoreside improvements.